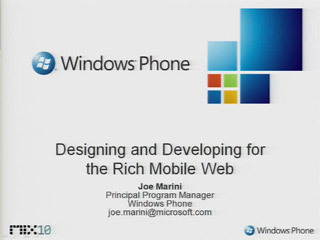 Joe Marini is a Principal Program Manager on the Windows Phone team, where he leads the Web developer efforts for IE Mobile. He has been active in the web and graphics industry for more than 15 years. He was an original member of the Dreamweaver engineering team at Macromedia and served as the company’s representative at the W3C DOM working group, and has also held prominent roles in creating products such as QuarkXPress, mFactory mTropolis, and Extensis QX-Tools. He is a regularly featured speaker at industry conferences and has authored or co-authored several titles on Web development. 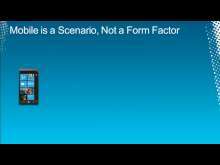 His book, The Document Object Model, is widely regarded as the definitive resource for working with the DOM.